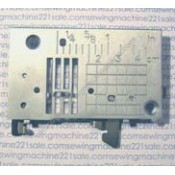 Alternate Part Numbers250006007Fits the following Babylock sewing machine models BL1750, BL1556Fits ..
6 point feed. Approximately 2 1/2" left to right and 1 3/4" front to back. Please note the 6 point..
Needle plate cover (feed cover). 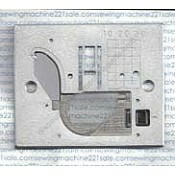 Fits the following Brother sewing machine models ULT2002, ULT20..
Needle plate cover comes with bobbin cover #XD1645021. 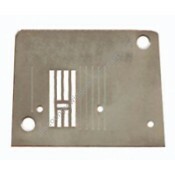 This snap-out plate also serves as a position..
Zig-zag needle plate, no screw down, 1 3/4" wide X 2 1/2 long.Alternate Part NumbersB4139Fits the fo..
(XA6466051) Needle plate only. 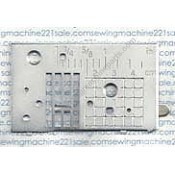 Fits the following Brother sewing machine models PQ1.. 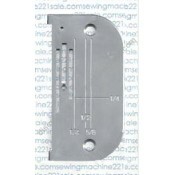 Fits the following Brother sewing machine models XL2015, XL2021, XL2022, XL2030, XL2031, XL2010..
****No Longer Available**** 3 5/16" (84mm) long X 2 15/16" (75mm) wide. Please Note: Th..
Comes with bobbin cover plate X56828151.Fits the following Brother sewing machine models B349, B351..
3 9/16" (90mm) long X 2 15/16" (75mm) wide. Please Note: This plate looks like plate #X55858251 bel.. 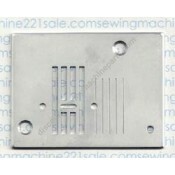 Please note: This plate uses only one screw (left side) to mount it to the machine, some models may ..
****No Longer Available**** Takes bobbin cover plate #X56828151. Alternate Part Numbers XA291.. 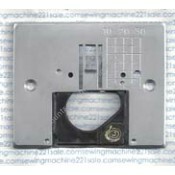 Please note: This plate uses two screws to mount it to the machine, some models may use #XA0647051 r.. 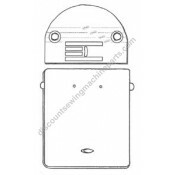 Brother needle plate comes complete with bobbin cover plate #XA8061051.Alternate Part NumbersXA8058F..
No Longer Available Use bobbin cover plate #X56828151 below, not included. Alternate Part Numb.. Brother needle plate with position bracket on the underside. 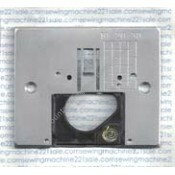 Compatible with needle plate cover (pos.. Brother zig-zag needle plate complete with under attached position bracket. Has markings in inches .. 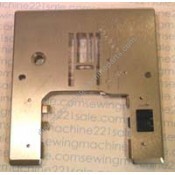 This is a substitute slide and needle plate for Z95CT (listed above) which is No Longer Available at..
Spring "Up-Down" Combination Slide Plate and Zig-Zag Needle Plate. Sold Complete ONLY. Same over a..
Use bobbin cover plate #502017104, not included, sold separately.Alternate Part Numbers395744-57, 50..
Straight stitch needle plate comes complete with new bobbin cover plate #50201704. Also see zig-zag.. 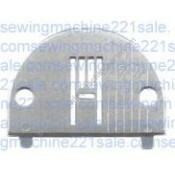 Uses bobbin cover plate #830302002.Fits the following Elna sewing machine models 3003FS, 3005, 300..
Zig-zag needle plate with brackets on the underside. 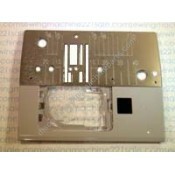 Use slide plate #822804006 (not included).Fits..